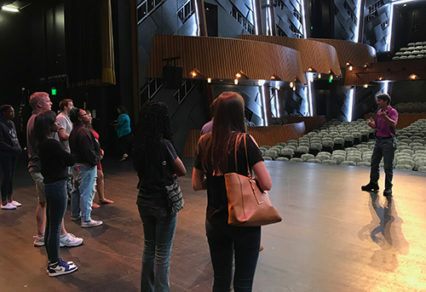 For groups of 10 or more, free-guided tours of the FMU Performing Arts Center are available by reservation only. These tours provide a behind the scenes glimpse of our venues, including access to dressing rooms and backstage. To arrange a tour, please email fmupac@fmarion.edu with the subject line “Tour Request,” or call 843-661-1720.